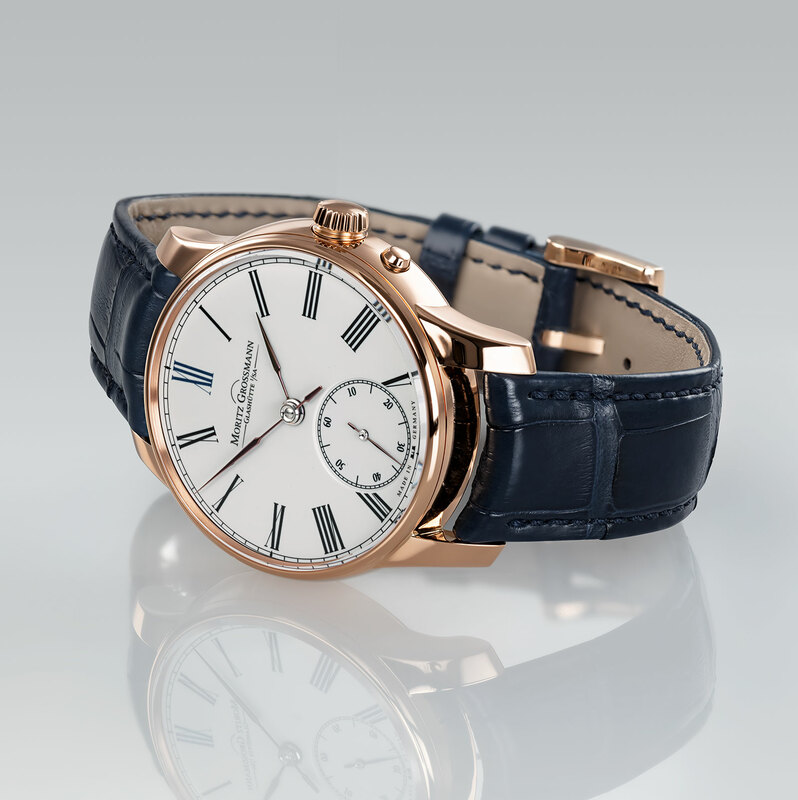 A time-only wristwatch with a fired enamel dial and a tangibly well made movement. 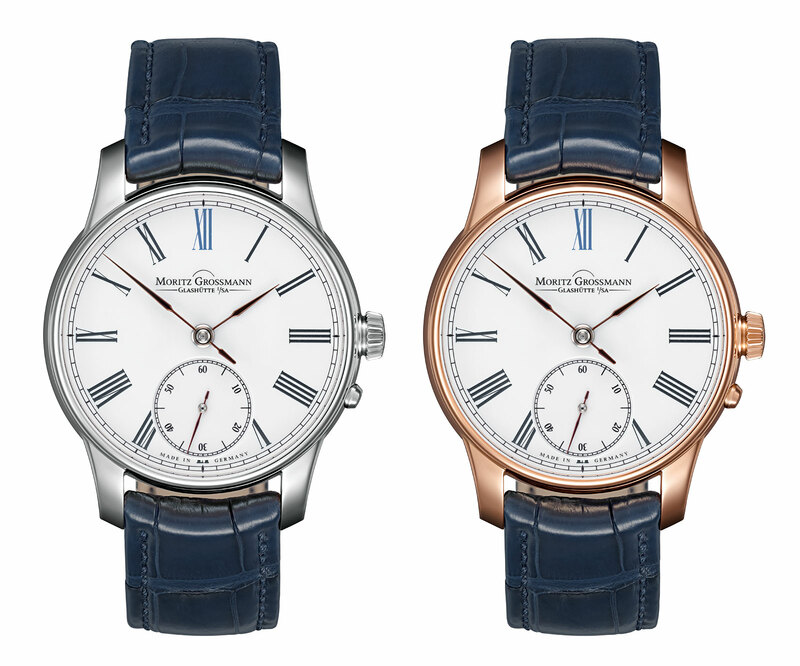 The Atum is Moritz Grossmann‘s flagship time-only wristwatch (the fancier model has a power reserve display), simple in function and style, but very, very well made. Now the German watchmaker has given it a white vitreous enamel dial, of the sort that’s painted by hand and then fired in an oven. Traditionally styled with narrow Roman numerals in black against a white surface, the dial has a touch of colour at 12 o’clock, which is in medium blue to match the leather strap. It’s made of two parts welded together: the larger dial plus the sub-dial for the seconds that’s slightly sunken. And all three hands are made of steel – filed and polished by hand – that’s been heated till it turns a subtle shade of brown with a purple hue. 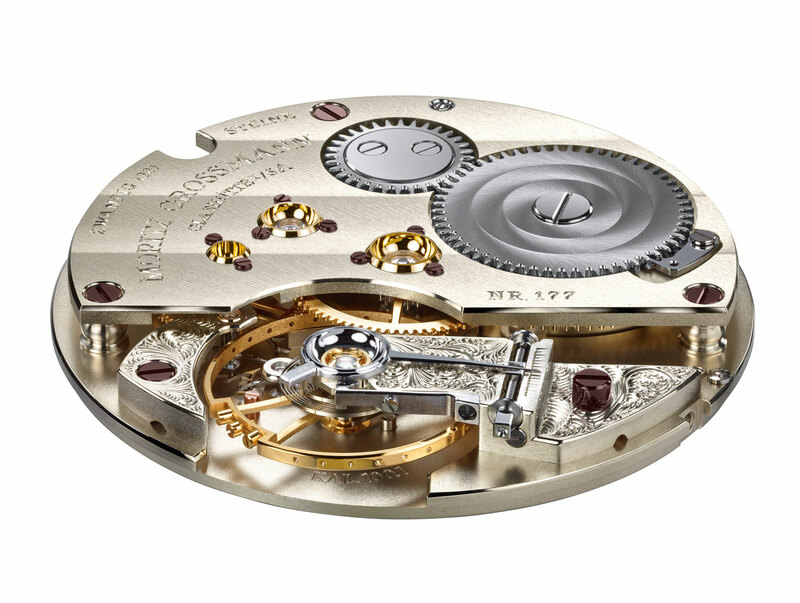 The movement inside is the calibre 100.1, an impressively constructed hand-wound calibre that’s modelled on vintage pocket watch movements with German silver bridges and detailed hand-finishing. 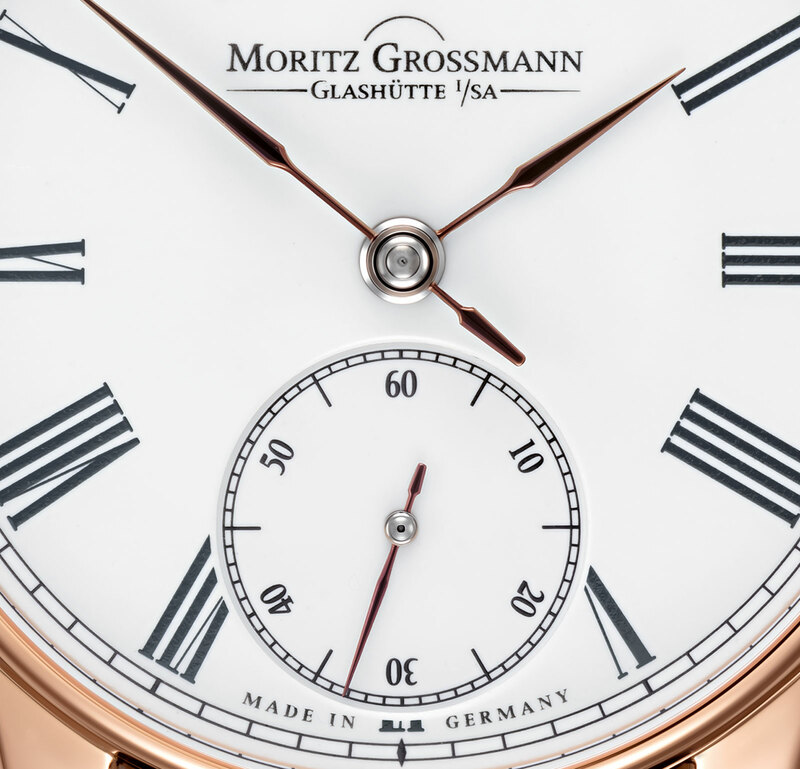 The movement has Moritz Grossmann’s patented stop seconds: pulling the crown once stops the second hand and allows the time to be set. Once that’s done, pressing the button at four o’clock resumes the motion of the seconds hand, which allows for a more precise setting of the time. Limited to 25 pieces in each colour of gold, the Atum Enamel in rose gold (ref.MG02.B-02-A000804) is €34,200, and in white gold (ref. MG02.B-02-A000807)it is €35,300. They are being delivered to authorised retailers starting February 2017.